Apparently hairstylist Kelsy Osterman is the leading expert on Kate Middleton's hair. The New York-based stylist - born 'n raised a Minnesotan, and an integral member of the Twin Cities fashion industry - was recently quoted in the New York Post about the new 'do hitting the U.S. Now BBC News has picked up on the story, interviewing her for an article about the future royal British princess' 'do. Kelsy gave us the scoop that she will be featured in an interview on the Today show this morning (Tuesday) about the hoopla. 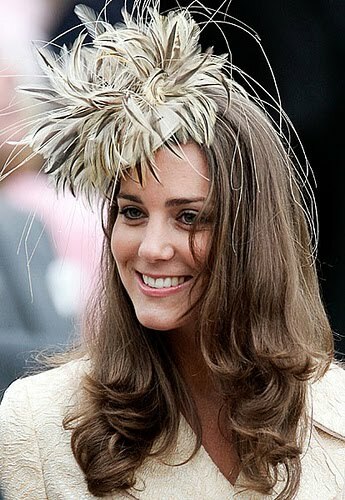 "At Cutler Hair Salon on 57th Street, stylist Kelsy Osterman says dozens of women have been coming in and asking for a Kate Middleton cut. "'People get really inspired by all these big beautiful photos of her and I think the one thing they can try to obtain of that beautiful look is the hair,' she said. 'There could have been 20 women in a day that ask for it.'"